The annual Cherishing Children Glow Run features family-friendly nighttime events, including a 1-mile fun walk, a 400-yard superhero dash, and a chip-timed 5K glow run beginning at the Frisco Stage in downtown Rogers. For details, visit www.cacbentonco.com. John Q. Hammons Center, 3303 S. Pinnacle Hills Pkwy. Join the Woodruff family in remembering the impact their son, Miller McNeil Woodruff, had on the Northwest Arkansas community. 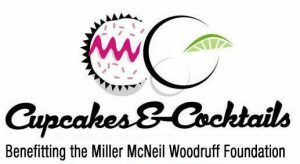 Cupcakes & Cocktails includes an evening of dinner, live and silent auctions, music and more at the John Q. Hammons Center. For more details, visit www.imwithmiller.com. St. Paul’s Episcopal Church, 224 N. East Ave.